This small but very fine early work by the artist displays particular influences from the Camden Town Painters, particularly Harold Ginner, who Godfrey Miller became interested in on his arrival to London in 1929. The decade Miller spent in London was a highly experimental one in which he moved towards "a renaissance of my own, a discarding of the chrysalis" – a chrysalis which had largely involved the production of romantised tonal landscapes in his previous years in Melbourne. In seemingly modest still life arrangements and exquisite colour landscapes and street scapes such as 'Street scene, London', Miller began to structure form through colour and to assemble everyday objects and scenes under the principle that all forms are reducible to a harmonizing geometry. In years largely under sway of Cezanne, when English reactions to what was happening in Paris polarized into a conflicting pull between abstraction and representation, these beautiful small paintings were a necessary precursor for the artist, to the Cubist studies which came increasingly to occupy his time in London. The arrangement of this street scene along a set of defined diagonals may also imply the effects of Miller's reading of the Dynamic symmetrist Jay Hambidge and his claim that diagonals brought unity and tension to a painting. 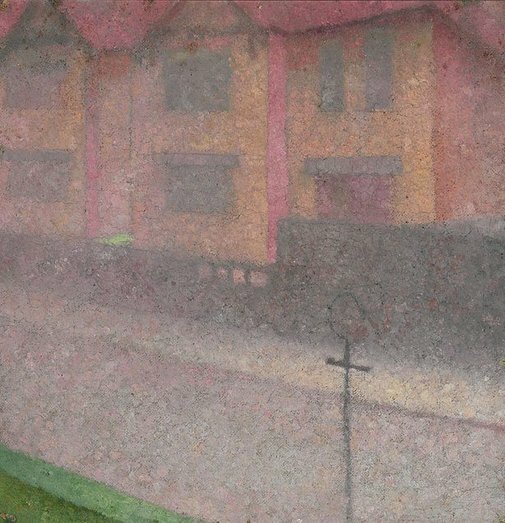 Colour is virtually rubbed into the canvas to give a hazy sfumato effect, analogous to the atmospheric effects Miller encountered on London streets: he wrote around this time, " Tonight I walked along the streets. They have now that soft, misty air that seems to sink down into the chasms of the building lined streets; light both by day, and artificial by night, is soft and full of colour". Art Gallery of New South Wales annual report 2005 , Sydney, 2005, 17, 18 (colour illus. ), 63. Godfrey Miller , Sydney, 1996, 21. 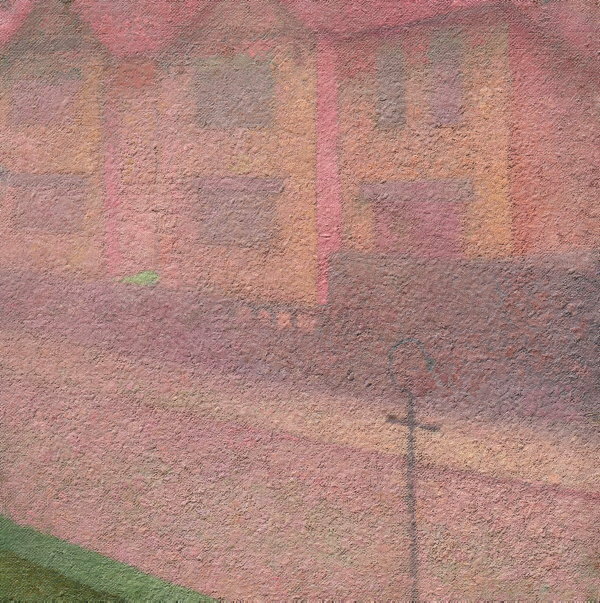 A related work '(London street scene)' is reproduced in colour.